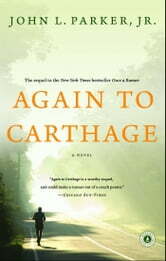 by John L. Parker Jr.
Again to Carthage is the "breathtaking, pulse-quickening, stunning" sequel to Once a Runner that "will have you standing up and cheering, and pulling on your running shoes" (Chicago Sun-Times). Originally self-published in 1978, Once a Runner became a cult classic, emerging after three decades to become a New York Times bestseller. Now, in Again to Carthage, hero Quenton Cassidy returns. The former Olympian has become a successful attorney in south Florida, where his life centers on work, friends, skin diving, and boating trips to the Bahamas. But when he loses his best friend to the Vietnam War and two relatives to life’s vicissitudes, Cassidy realizes that an important part of his life was left unfinished. After reconnecting with his friend and former coach Bruce Denton, Cassidy returns to the world of competitive running in a desperate, all-out attempt to make one last Olympic team. 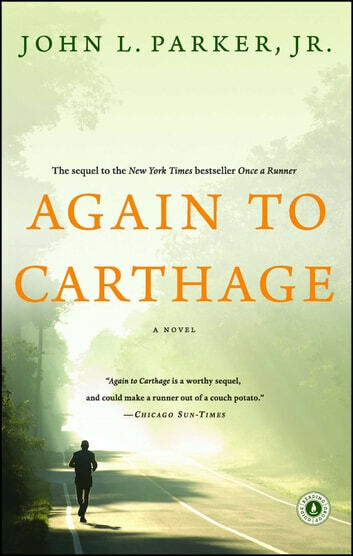 Perfectly capturing the intensity, relentlessness, and occasional lunacy of a serious runner’s life, Again to Carthage is a must-read for runners—and athletes—of all ages, and a novel that will thrill any lover of fiction. More By John L. Parker Jr.